At the Meudon Observatory in France, as part of the DEUS (Dark Energy Universe Simulation) FULL UNIVERSE programme, Jean-Michel Alimi and his team are trying to better understand how the universe was formed and the cause behind cosmic expansion. For the first time ever, researchers have calculated how the field has evolved in the entire observable universe, from the Big Bang to the present day. In addition to visible matter and dark matter, another component is needed to explain the universe's recent rapid expansion and that is dark energy. 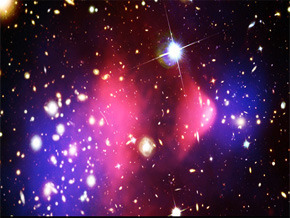 Dark energy is thought to represent over 75% of the energy content of the universe. To determine its nature, one must first understand the role of dark energy in cosmic structure formation which requires calculations that go well beyond what has been achieved so far. It is more than a mere fraction model of our universe, but the observable universe in its entirety. To carry out calculations so gigantic, scientists have used one of the largest computers in the world, the Curie supercomputer.